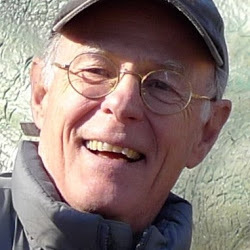 My book is a narrative about my own 35-year secret life exploring the evolutionary narrative of humans, and my subject matter has been the narratives of severely mentally ill patients that I was treating in my “day job” as a psychiatrist. My first philosophical theater was a maximum security prison where I nearly got killed when an inmate slashed my face and throat. I came away from that experience, having immersed myself in the writings of Charles Darwin, with the conviction that the dominance and submission interactions so evident in prison and in apes had evolved into the authority and obedience in groups so evident in normal human society. But how did this occur? As I worked on this question, I began to realize that the mental illnesses were “emotional fossils” revealing insight into the internal life of our ancestral hominid species. Patients suffering from the two major forms of depression and panic disorder taught me that the two most fundamental fears are separation and being trapped at the periphery of a group, as if “up against the wall of banishment.” These fears greatly intensified in hominids right from the very beginning, serving to tightly bind our ancestral kinship groups together. The central symptom of Schizophrenia—the “sacred disease”—is the experience that one’s thoughts emanate from an external source. Another thread in my inquiry emerged when recent diverse lines of evidence convinced me that our hominid ancestors lived in monogamous groups. Putting all this together, I deduced that the entity of individual dominance “ascended” into the authority of groups dispensing justice and absolute morality; this helped to sustain and coordinate small groups of multiple monogamous families as if they were organisms. I began to see the hand of God in this transformation from the laws of the jungle to lives lived utterly within the rules of right and wrong. And to view their lives, as harsh as they must have been, to also have been Edenic. All members of a group lived immersed within a single mind that evolved for millions of years to coordinate the survival of their groups. These groups evolved passively by the emergence in each generation of the most fecund (because they were stable, because they were monogamous) and most productive permutations of mutual relationships within groups—not through competition between groups. So these creatures, our ancient ancestors, were inherently peaceful with one another. Then I recognized that the disorder of mania (the “up” part of bipolar disorder) revealed that, 200,000 years ago, the innovation that resulted in the evolution of our own Homo sapiens species was accompanied by the development of an intensely positive feeling elicited specifically by others admiring us as individuals. The powerful drive to seek this pleasure resulted in the evolution of an endless variety of species-specific behaviors that are tantamount to competitive sexual display. The pervasiveness of this strong proclivity in humans has rendered us at the same time brilliantly creative, cruel, and absurd. An old-fashioned term for this purely human impulse is vanity. So my narrative has ended up along biblical lines: God created us six million years ago with the innocence of Adam and Eve and evolved in us the power to coordinate our work under a single will for the good of our groups. But now we find ourselves in a fallen state, driven by our vanity to glorify ourselves, and worst of all to usurp the power given to us by God to wage war with one another. I deeply connect with the writings of Eckhart Tolle. I agree with his definition of ego as that which we fear (separation and banishment) and desire (vanity). Mindfulness involves immersing ourselves in the vast spiritual subcontinent (soul, Jung’s collective unconscious) that continues as our living heritage and is the very “platform” of consciousness from which we are (self)conscious of our most recent “ego-mind.” As violent as our species’ ego has driven us to be, all of its accumulated wants have a purpose that is in the process of coming to pass. Painfully but inexorably the undeniable movement of our history has been toward the amalgamation into ever larger groups; inevitably we’ll live as a single group as prophesied by Isaiah (and as interpreted by Tolle in his recent bestseller A New Earth). For six million years, individuals evolved to live their lives as a single organism within the minds of their small groups. Now it is our destiny to evolve into one vast spiritual creature with eternal life. Needless to say, there have been gargantuan problems in weaving together the human narrative with my own personal narrative and all my patients’ narratives, while fiercely protecting their privacy. Then there have been all the blind alleys I have gone down and the technical aspects of evolutionary mechanisms along with the narrative of the evolutionary debates that have raged during the last 35 years. My strategy has been just to pump out one manuscript after another (I’ve done eight) mainly as a way to think it all through again and again until finally I could step back and allow all the narratives to fall into place “on their own.” I’m currently polishing my manuscript and drafting a proposal for prospective publishers. 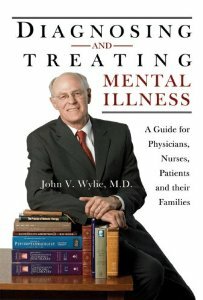 John V. Wylie is the author of Diagnosing and Treating Mental Illness: A Guide for Physicians, Nurses, Patients and Their Families and blogs about his ideas regarding evolution and human nature at Apes, Ants & Ancestors. What courage it must take to take up a job in a maximum security prison–or in any prison, for that matter. I think that were I a doctor, I would probably specialize in “diseases of the rich”–so-called, anyway. While it would be tiresome, it would likely be safer than taking my life in my hands in a prison. These ideas sound intriguing. You sound like just the right person to explore them. Personally, as a reader, I really connect with true stories, so I hope you go heavy on the stories of your patients (with respect to privacy, of course) and also yourself. I find this theory exciting. I come from a group, Mennonite, which has maintained traces of the group mind, more or less successfully for almost 500 years. As Mennonites become acculturated, they become more like the individualistic society around us. My memoir title tries to capture the conflict: Blush: A Mennonite Girl Meets the Glittering World. I love your paragraph about the need for admiration and vanity. I’ve spent my life hoping to become as genuinely humble as my best role models and fleeing false humility based on following rules. I’m grateful for the continuing struggle of my faith group — and to you for this brilliant, and yes metaphorically biblical, vision for our deepest pain and largest possibilities.